Do yourself a favor and drop by this Beautiful Craftsman Home Within Walking Distance to Mobile Bay! Once you turn onto 3rd Street in the heart of historic Montrose, you will transported back in time by the Landmark Montrose Post office and captivating oak tree lined street! 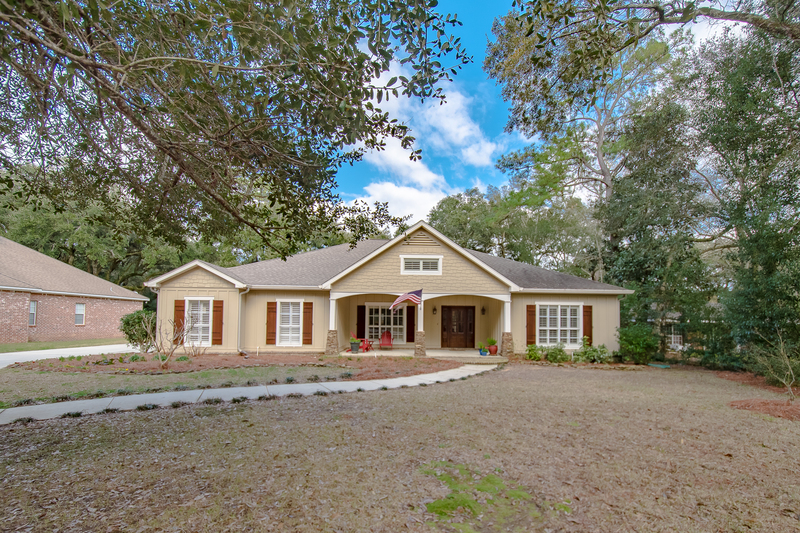 This home is in a perfect location in Fairhope School District, just a quarter of a mile from Mobile Bay and enjoying easy access to both Scenic Highway 98 & Highway 98. The sellers said they love walking around the neighborhood, biking, and having tea on the front and back porch. You can take advantage of being golf cart distance from all the happenings in Downtown Fairhope from award winning restaurants like Panini Pete’s and Sunset Pointe to the boutique shopping of Utopia and The Cat’s Meow or any of the Antique and Art galleries! The sellers said they loved the level lot and curb appeal; they recounted, “When I walked inside I loved the wood floors, stunning crown moulding, and the plantation shutters. I was also very impressed by the large back yard.” You will be impressed by the homeowners’ pride in a home they fell in love with. 23950 3rd Street features a wonderful open floor plan with a gas fireplace in the living space. Granite counters with a stone tile backsplash are in the kitchen that is open to the living space, and there are 3 additional bedrooms on their own wing, while the master bedroom & office are on the opposite side of the home. The backyard is an outdoor oasis beginning with the 31×21 screened covered back patio–perfect for entertaining or watching the big game on the wall-mounted TV! You will also find exquisite landscaping and a specific birdbath area perfect for birdwatching. The arched privacy fence along the back of the property line gives a touch of class while providing privacy to your backyard. To the front the owners opted for an aluminum fence designed to look like iron. It also has a puppy gate feature at the bottom to keep your family pets safe! 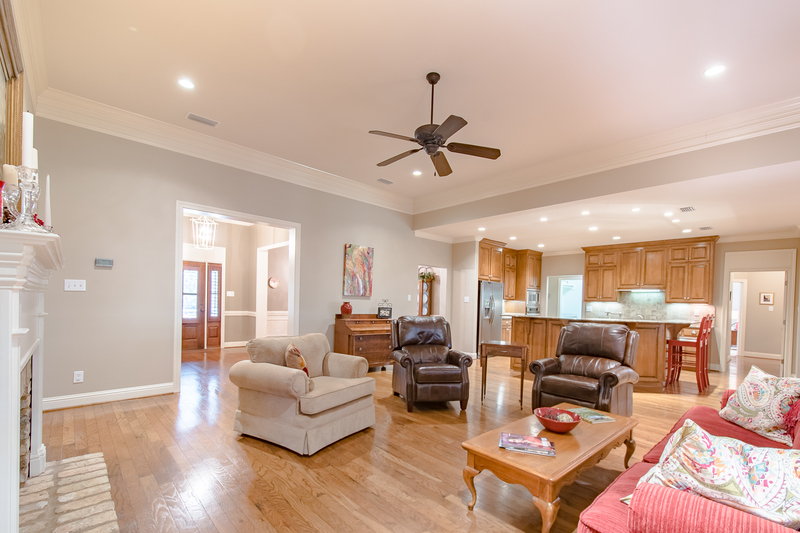 Tour this Beautiful Craftsman Home Within Walking Distance to Mobile Bay with the Jason Will Real Estate Team 251-866-6464.